Currently on backorder until April 19. 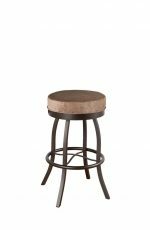 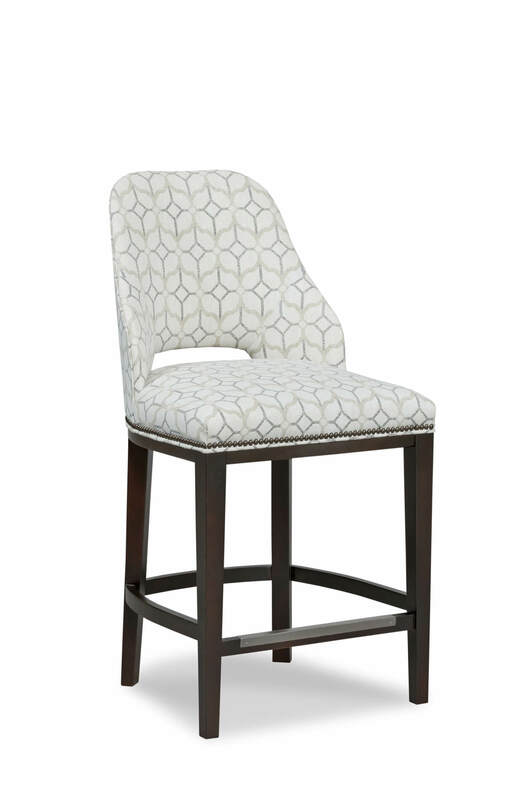 Bring home comfort with the Darien stool by Fairfield featuring nailhead trim, a contoured back shape, slim and tapered wood legs, and metal footrest. 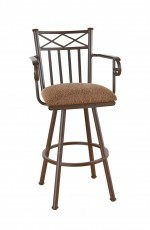 Wood stretchers near the base add strength, while the upholstered seat and back add comfort. 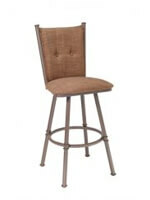 No matter where you are with your barstool search, we urge you to keep an eye on this one and on Fairfield. 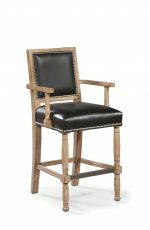 This is heirloom quality at its finest. 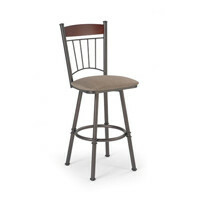 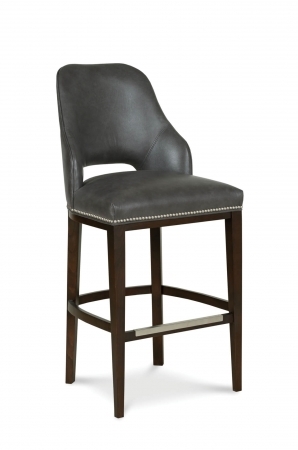 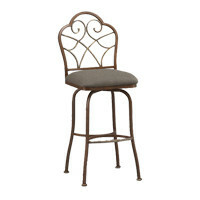 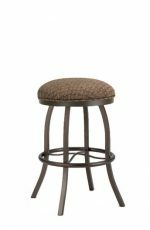 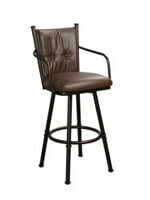 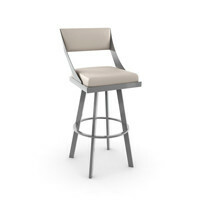 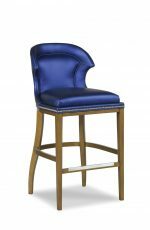 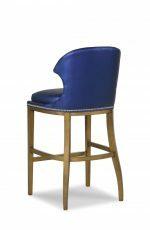 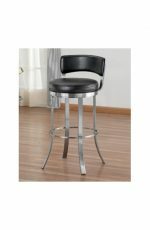 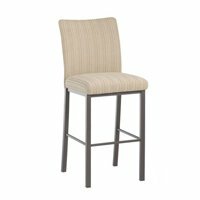 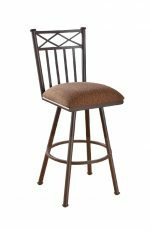 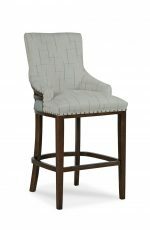 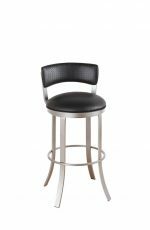 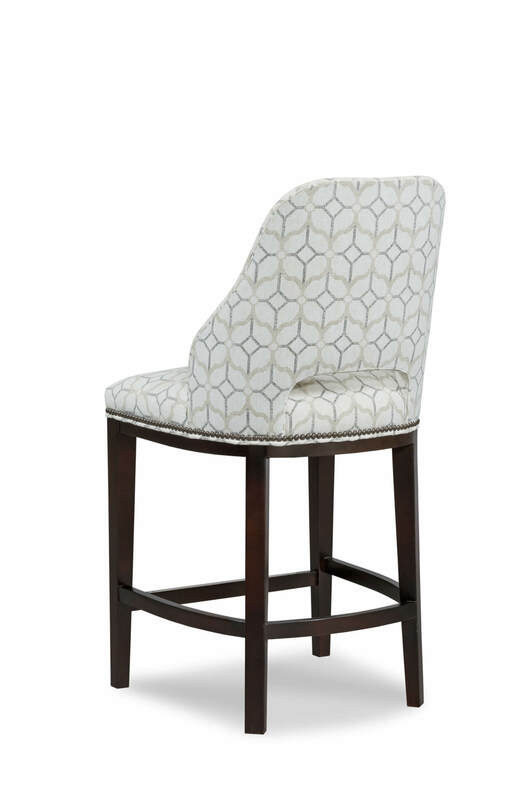 • For the Darien Upholstered Wooden Stool with Back, you will need 2.50 yards per chair.